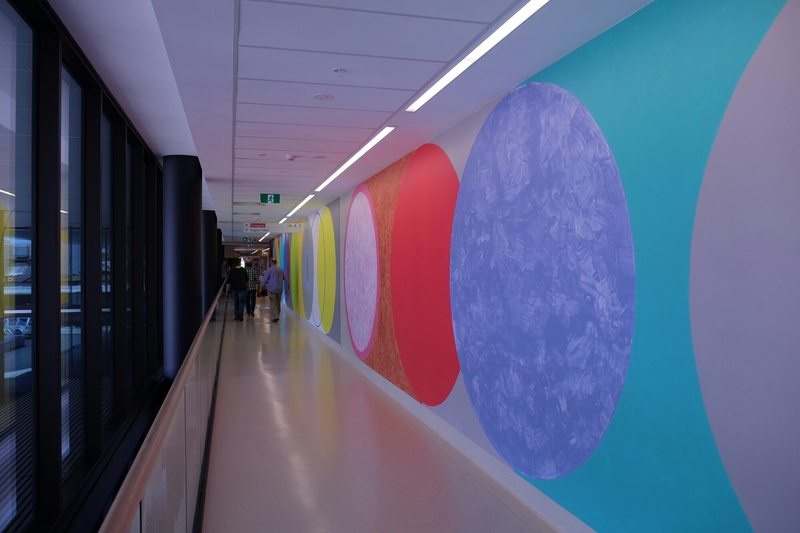 ​ Musings on the installation of Equinox, a public artwork for the new Tamworth Hospital made on site in October 2016 by James Rogers and Nameer Davis. Equinox is the twice yearly event at which the sun crosses the celestial equator and day and night are equal in length the world over. While working on this project I kept pondering on a story I’d heard during the drive down. The short story from TC Boyle, a perfectly melded unit of form and content hurtling into tragedy. The story’s narrator presents fragments of a natural history of meteors while recounting specific events surrounding his daughter’s apparent roadside death in a traffic accident. A meteor extinguishes the dinosaur age and a swerving car shakes a relationship off its orbit. It’s a spellbinding collage of human order, probability and random nature which in a sense is the workaday world of the hospital. 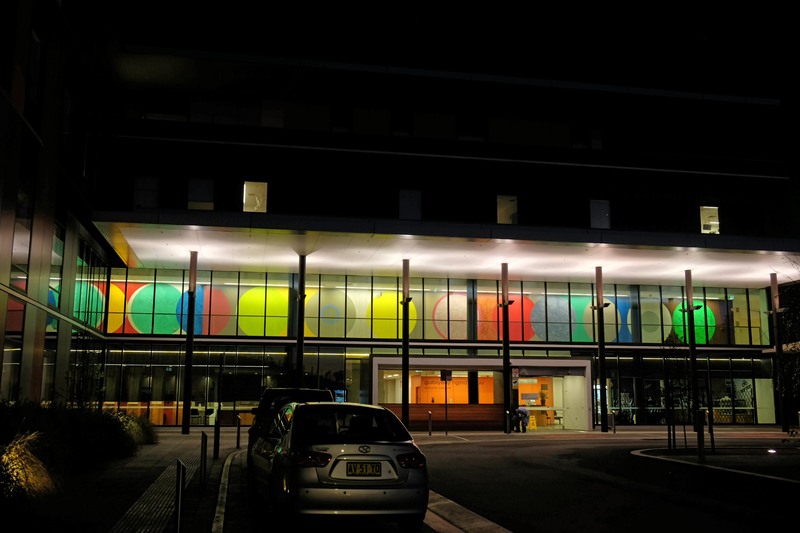 I Drove to Walcha in late September on a friend’s invitation to collaborate in a public art work he’d conceived for the new Tamworth Hospital. My friendship with James Rogers stems from a studio shared in Sydney and farther back to art college in Toowoomba. 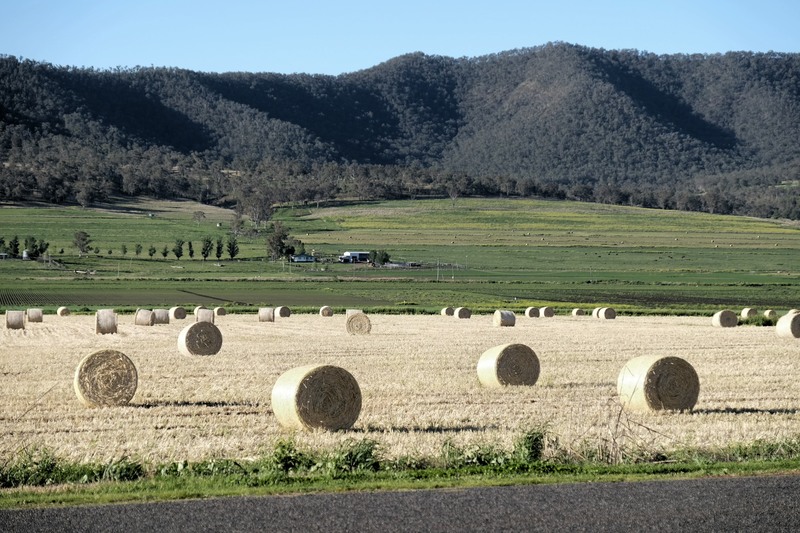 James describes himself as a journeyman Sculptor; some years ago he relocated from Sydney where he exhibits regularly and successfully, to the New England town of Walcha. 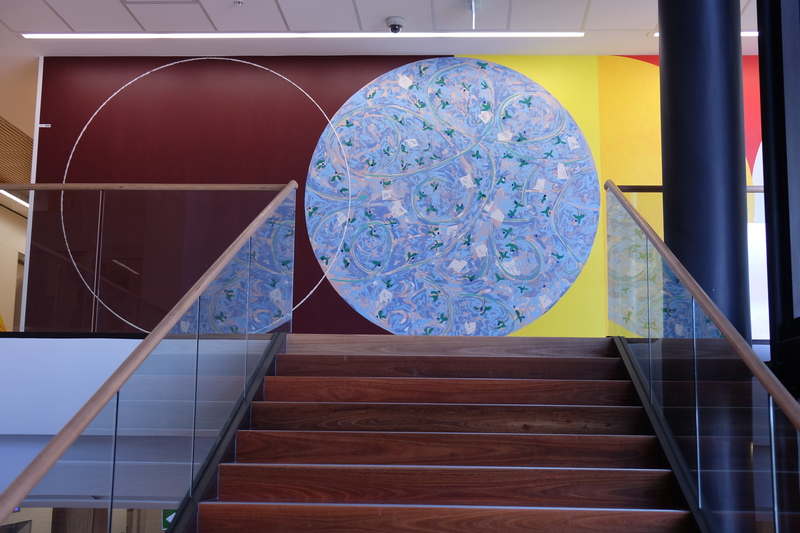 For the purpose of our collaboration I would hazard to say that we have common sympathy in responding to the visual and physical as the avenue through which complex experience in art is formed. 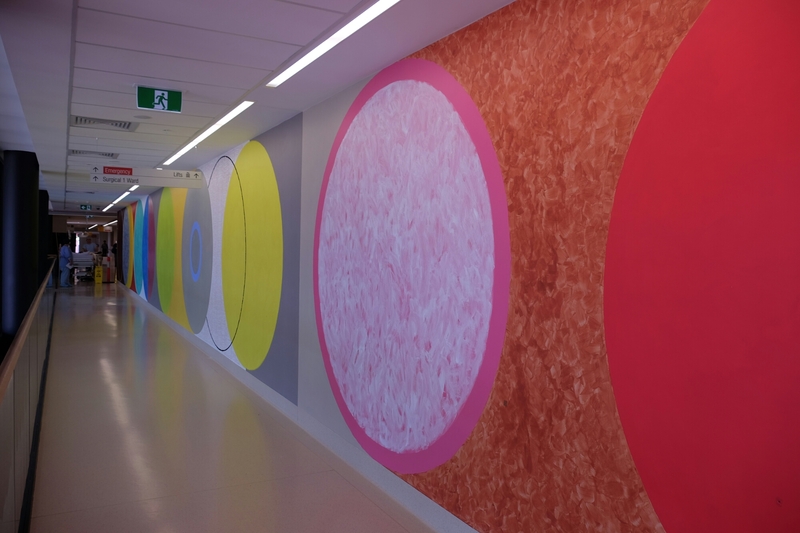 Shortlisted and successfully negotiating the competition, James provided the commissioners with the concept of an arrangement of coloured discs along the given venue, a 37 metre corridor. The installation is a performance insofar as the design is composing itself in tandem with its application, onsite in real time. 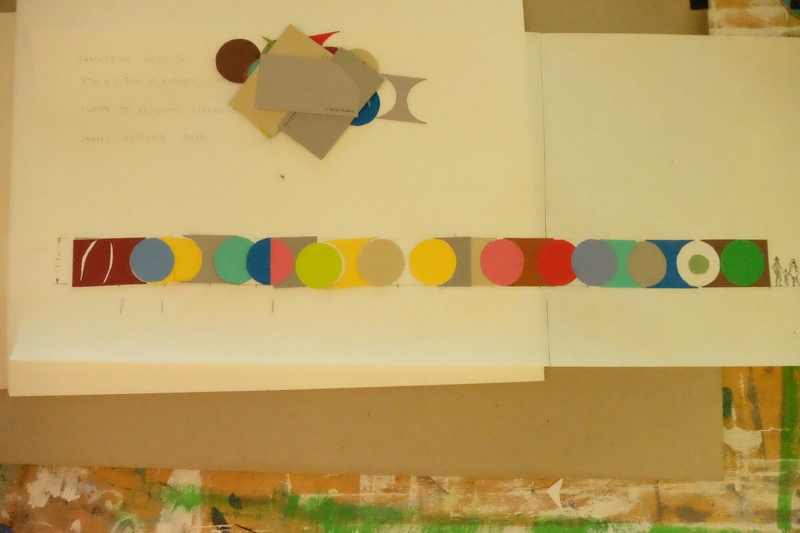 This process encourages an exploration of colour and placement, of circle and ground as colour fields experienced up close as well as rhythm and variation appreciable from street approach. The exciting prospect of the work lies in the improvised nature of the composition, making decisions as the elements are painted on site and in public view is an anxious enterprise, heightening perceptions of the site that deepen with developments on the wall… decisions in such a context expand the meaning of aesthetics. Founded in perception, flexing knowledge and experience, they become expressed in decisions that entwine stylistic and historical association with the optics and physicality of shape and mass; a fresco in which freshness stems from an active and live dialogue. 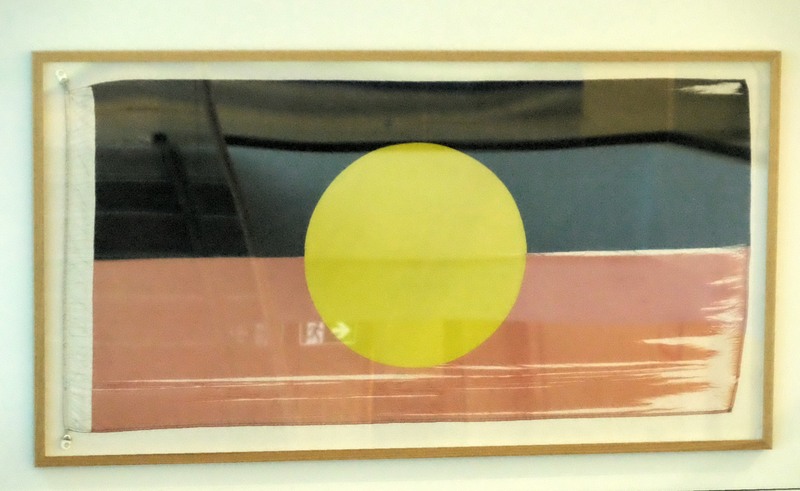 Tamworth hospital was the first Australian government institution to fly an Aboriginal flag. The actual flag flew till its tatters were conserved and framed; it now hangs on the stairwell approaching the fresco. 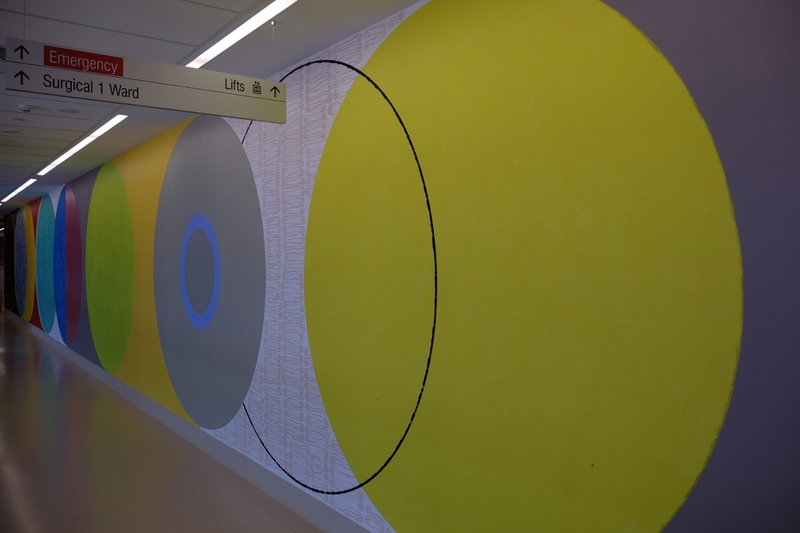 Its yellow sun, together with the afternoon sunlight flooding the corridor decided the colour for our central disc, yellow is also the way-finding colour for this floor. Patient wards and imaging services of ultrasound, mri and x ray, are the media through which medicine divines its cures. The abstract probabilities of modern medicine are offset by traditions of care and systems of order; a hospital begins and ends with the human body. 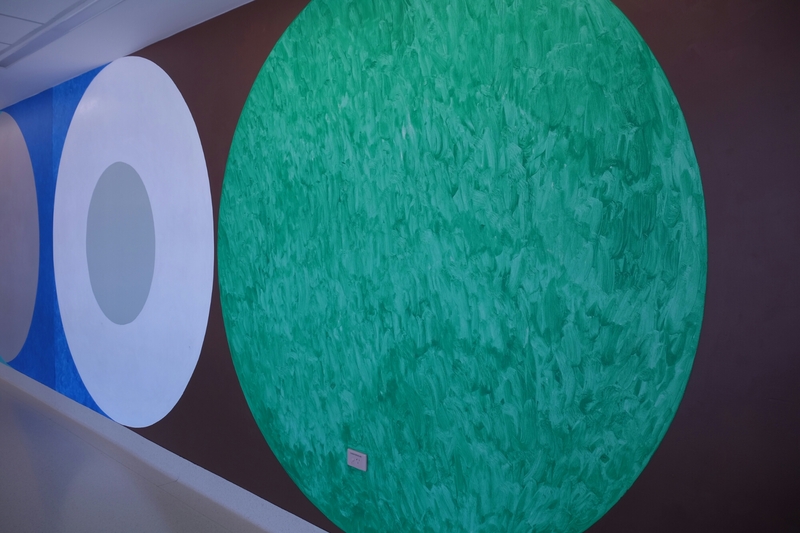 Equinox is a series of 2.5 metre diameter discs drawn with compass, chalk, Caulking gun, roller, brush and squeegee. The act of painting using the outstretched body within a circle puts in mind Leonardo’s Vitruvian figure holding nuance while honing surface close up and rhythm further afield. 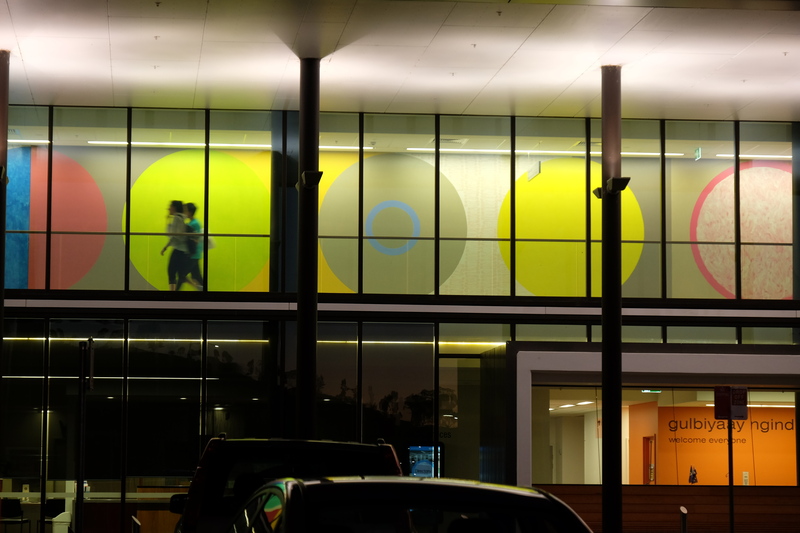 On-the-spot decisions arrived at through sun cast shadows, projections of mood and activity, effects of ambient medical smells and sounds and the overall making of the workaday hospital routine coalesce in these 37 metres. Sequencing between entrance and exit and renewing itself in each traversal. 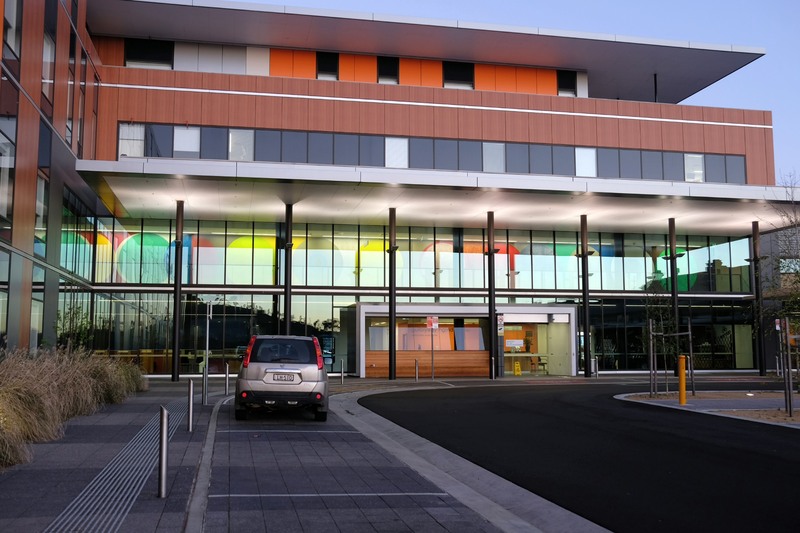 This entry was posted in art, Contemporary painting, drawing process, Performance, public space, screenplay, Urban planning, urban space and tagged Tamworth NSW new hospital public art. Bookmark the permalink. Chat later. Got a friend of Pearl’s here for a sleep over.